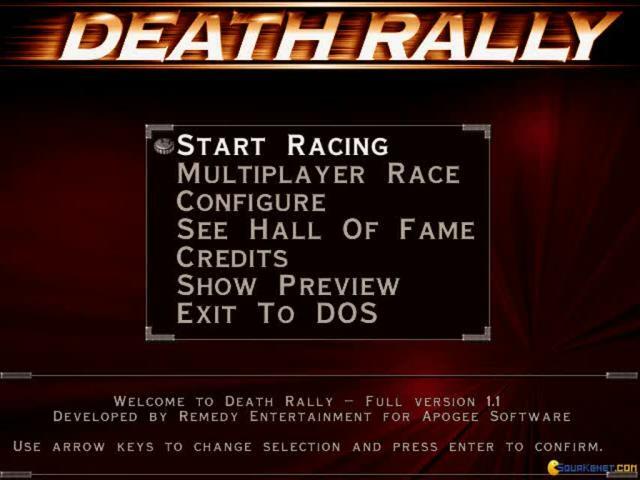 This fairly disappointing racing game is a remake of the great 1996 racing classic Death Rally. Why disappointing? Keep reading. 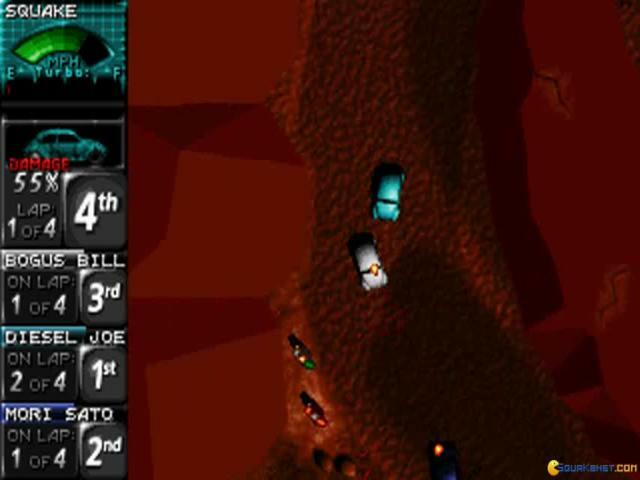 The gameplay is pretty standard - in a top down environment, you race other cars on dangerous tracks, picking up powerups that will make you faster and better, and try to get to the finish line first (much like in the old classic Wacky Wheels). The game looks and drives great. 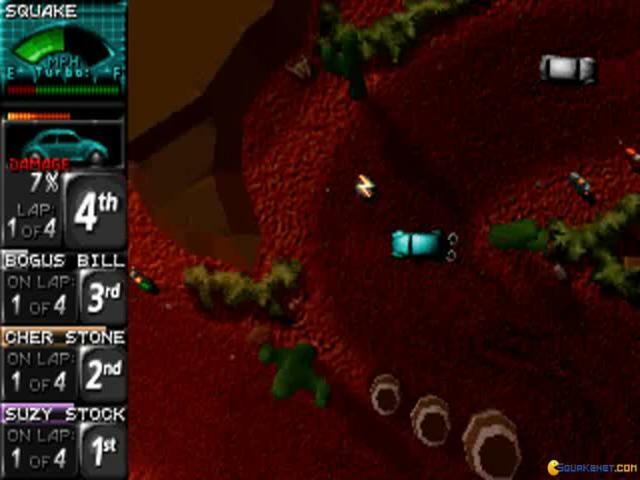 It has all the high tech graphics, the amazing animation and visual appeal most today's games have. 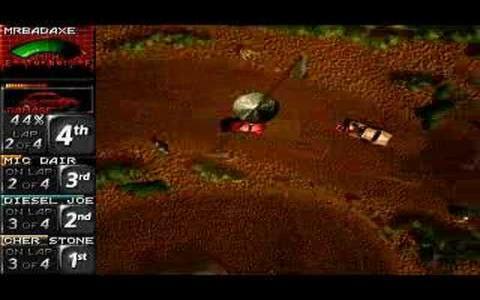 The music and sound effects are all top notch. 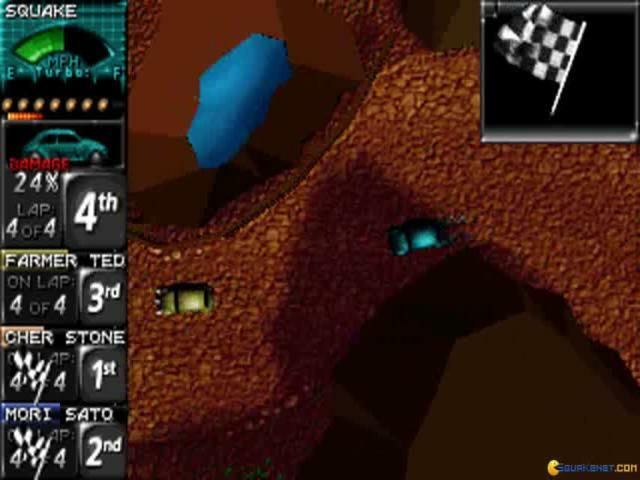 But, despite all that, the game just can't give any thrill to the player. 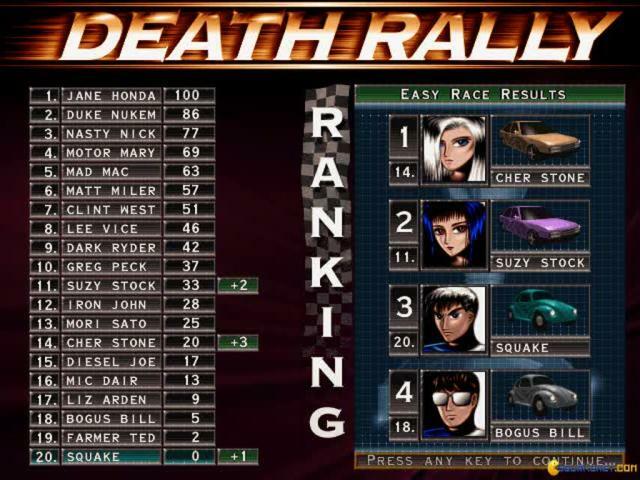 The tracks are boring and uninspired, the gameplay is too easy, the career mode is too confusing and, frankly, irritating. No matter how you try, you just can't get into the game. It feels too artificial. 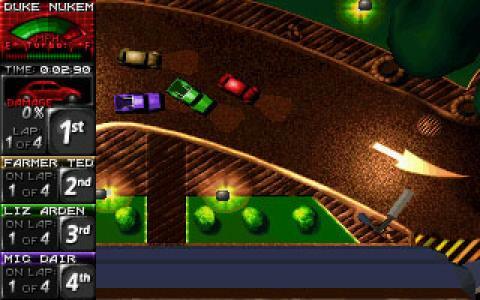 While it is a nice racing game, especially for beginners, and a great eye-candy, it's not worthy of its original, and true fans should avoid it at all costs. To others - play at your discretion. 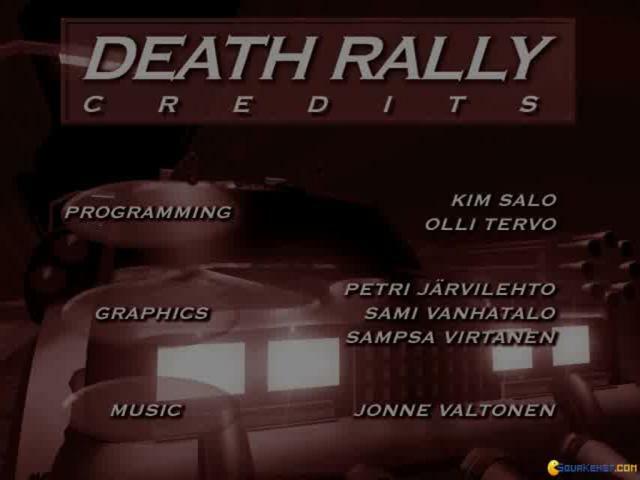 Death Rally is a 1996 racing game that was the very first production of Remedy Entertainment, being published by Apogee Software. 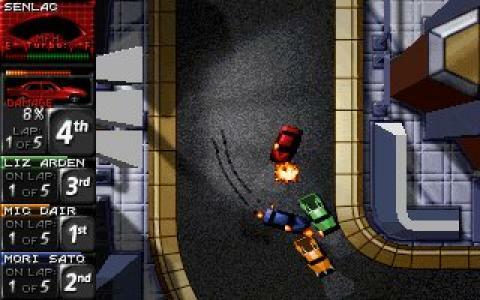 The last company subsequently changed its name into 3D Realms. 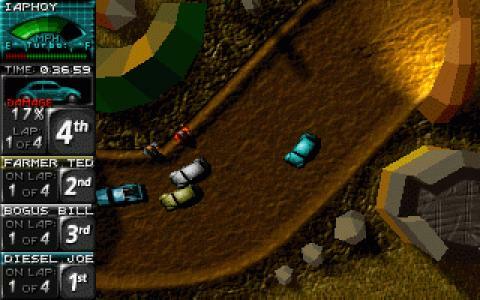 The remake of this 1996 edition was released in 2012. 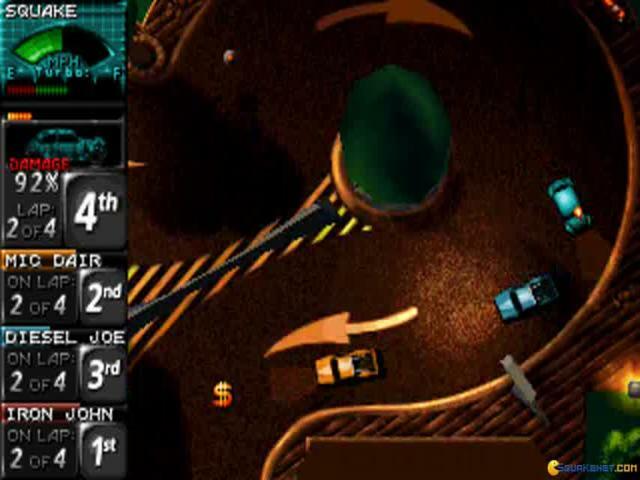 In this game your main goal is to win races, driving against difficult opponents and win rewards, using the money to upgrade your car. 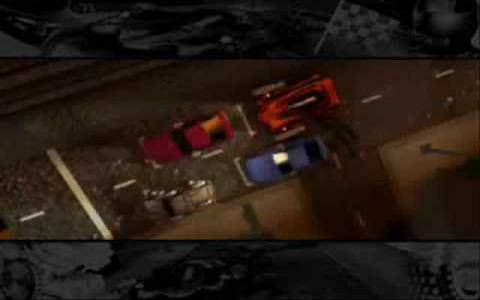 These upgrades concern your engine (for increasing the speed), your tires (for a better drifiting and for improving the traction), and your armor, which is useful for avoiding and decreasing the damage caused by the environment elements and by your fierce competitors. It's more likely you will forget about purchasing cars, and you will concentrate on repairing them. 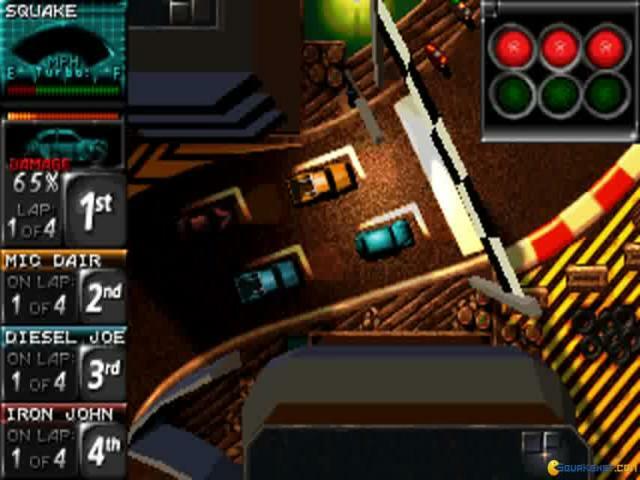 The graphics are based on a top-down perspective. 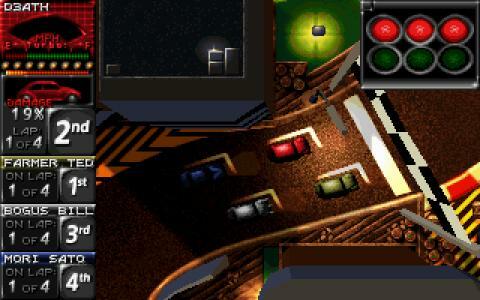 The environment is full of details and it seems like every element on the screen has its own suitable place. You will appreciate the fact that nearly nothing is missing from the visual design. 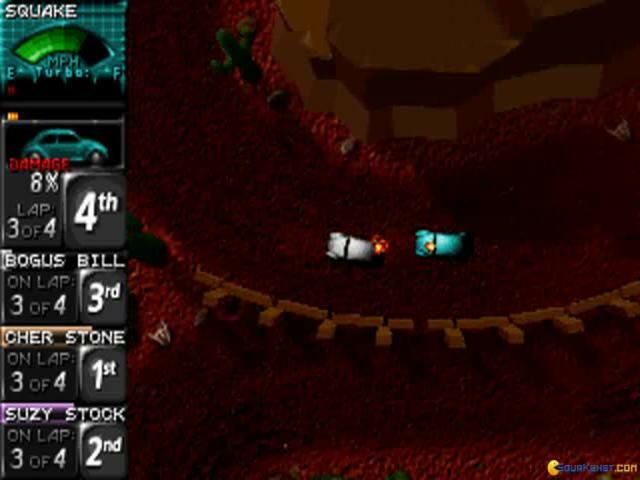 The cars will accomodate differently depending upon the track and terrain type. 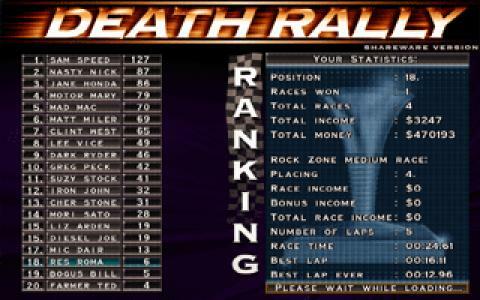 When you start the race, you must adopt your strategy in your way to victory. Thumbs up for this addictive game! 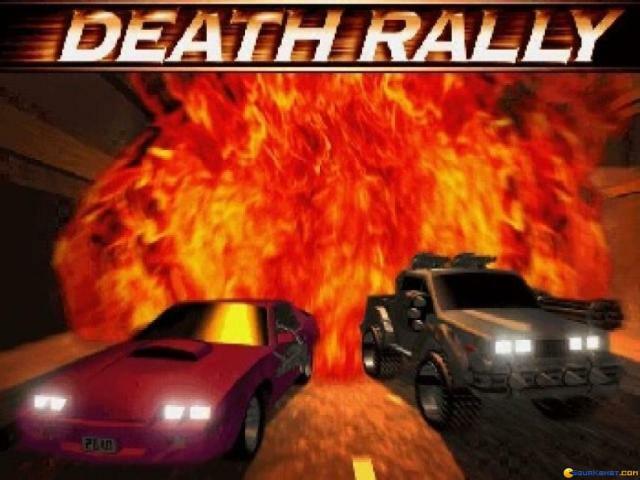 At a first look Death Rally seems to be a classic racing game, but, after a couple of laps you will understand it is an action game! 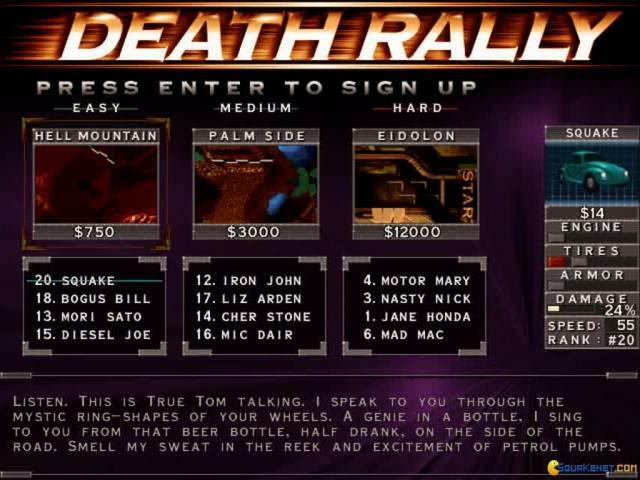 In Death Rally you will partecipate in a competition divided by groups. 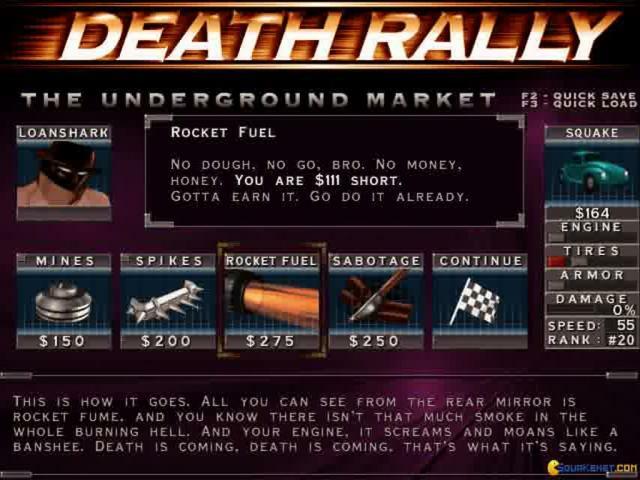 You manage a budget and with that money you can buy weapons to destroy your opponents, faster cars and so on. 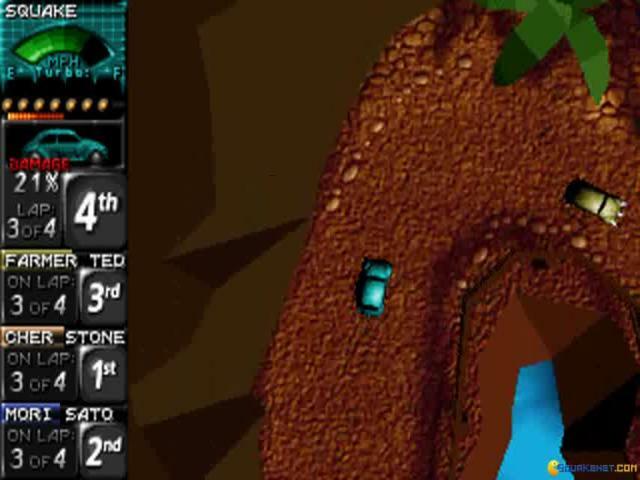 It is a really addictive computer game.